Guess who has the tickets to the most awesome prom party ever? It’s Gigi Hadid! 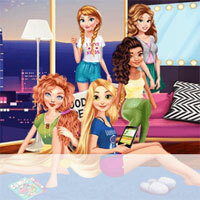 Join her and all your favorite Disney princesses in this amazing new dress-up game and help them choose the most glam outfits for the party. Have an amazing time playing this game!